At City of London Cleaners we offer a range of cleaning services. This includes residential cleaning, commercial cleaning, window cleaning and carpet cleaning. We offer cleaning solutions for small and large businesses in the City of London WC. Our teams of cleaners will provide you with professional and consistent cleaning at your business premises. We will provide high quality cleaning for offices, residential developments and other institutions. This is done without interfering or disrupting your daily routines. Furthermore we will work closely with the management to ensure that you receive the best cleaning services there is. We know that your premises are your professional face and that you need to make a good impression with your clients and it is because of that that we undertake our duties diligently and ensure that the job is done smoothly. Along with commercial cleaning services we also offer house cleaning. 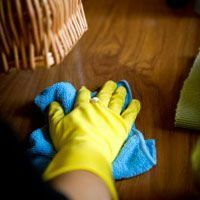 We know that you can have a hectic daily schedule and cleaning your home or business can be a challenge so we are here to help you as much as we can. Our house cleaning service is not only efficient but also affordable. We offer services to homeowners, landlords and small residential business. We have achieved very high standards of excellence and have professional employees who will give you advice on how to take care and maintain the condition of your home. They are ethically responsible, friendly and are trained on safety procedures. Rest assured knowing that your house is in good hands. Our cleaning company also provides carpet cleaning services for homes and offices. We use high quality maintenance products to ensure that your carpets and upholstery remain clean and fresh. We are available through the week and have highly-skilled carpet cleaning specialists. They are used to working with different fabrics and have extensive knowledge on how to deal with even the most delicate ones. We are also not afraid of any challenge, no matter how soiled or stained your carpet is we can deal with it. This is because we have extensive knowledge on stain removal chemicals and use modern carpet cleaning equipment. If you choose our company you will have no more stains on your carpet. We will also work meticulously to safeguard and extend the life of your carpet too. If you are impressed with our carpet cleaning service you should try our window cleaning service. Windows are the most ignored part of the house, when it comes to cleaning. Not only are they tedious to clean but they are time consuming and energy draining. We are the professional window cleaners for you. We will make your window shine, without you having to lift a muscle. Our professional cleaners will arrive punctually, take their time and get your windows clean. They will do the job professionally while paying attention to detail. No grease or grim spot will be left on your window. In addition getting your windows done by our company is not only affordable but we have unique window cleaning techniques that will ensure that your window remains clean for days to come. Turn to City of London Cleaners for all your cleaning solutions. We never fail to disappoint when we clean for you. Call us and ask us about our cleaning prices now on 020 3322 7165.